Here is a cup of coffee, fresh from the Keurig. 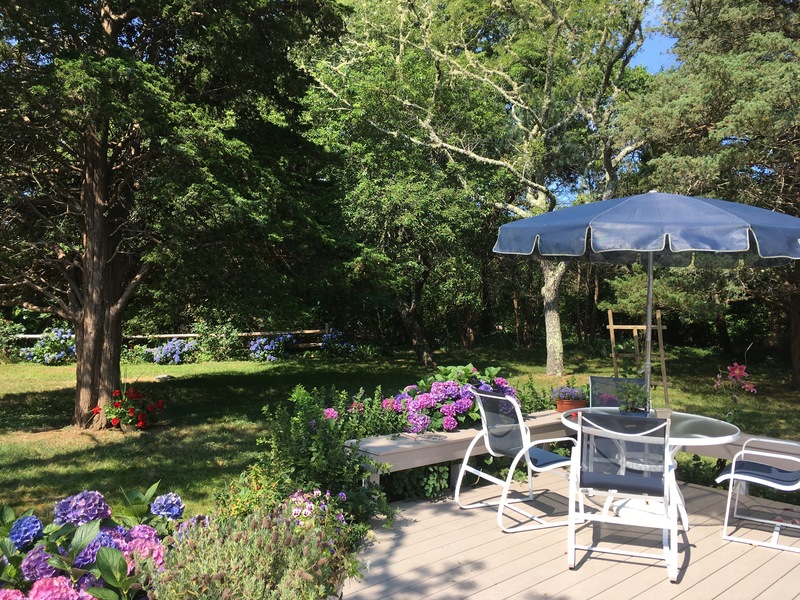 This weekend my wife, Peg, and I are at her parent’s home on Cape Cod. The trip down was a little wet; but it dried up when we crossed the Cape Cod Canal over the Bourne Bridge. The weather today was cool and sunny. August is the month my wife’s siblings and their families gather for a get together. It is a time to re-establish contacts with each other. For me, it is also time for a bit of retreat; to catch up on my reading and to enjoy the peace and quiet of the Cape. Over a cup of coffee, I would share that I am currently reading a book by Krista Tippett, host of the public radio program, “On Being,” entitled “Speaking of Faith;” which was the original name of the program. In the book, she shares how she came to rediscover the importance of spirituality in human life, and in her life especially. She shares some of the insights she has received through her interviews with people of all walks of life and faiths. I hope to share insights I have received in future postings. Over a cup of coffee, I would share that I intend to read more books during the rest of this year. I have entered a reading challenge on my Goodreads site for 2017. I have aimed low, intending to read 8 books between now and the end of the year. Hopefully, I will have exceeded that goal when New Year’s Eve 2018 comes around. 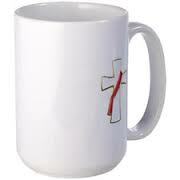 Over a cup of coffee, I would share that I am still looking for a new deacon assignment. It feels different participating in the Mass as a member of the congregation, and not at the altar. And actually, that is not a bad thing. Hopefully, by the end of next month, there will be a change in the situation. Well, the cup is empty and in the dishwasher rack. Until the next time; blessings and all good. Over a cup of decaf (ugh!) coffee, I will let you know that I have some worries over this upcoming Election Day, and it’s aftermath. Donald Trump’s statement at a rally that he will accept the election results as legitimate, only if he wins; really concerns me. Now, he has tried to tone that statement down; saying he is only keeping possible legal challenges open; but his followers are already convinced the election process is rigged. And there is a very angry electorate out there, on both sides. And we have seen how easy it is for protests to get violent. Our national elections, with its smooth transfer of power, has been an inspiration to the rest of the world. And many experts, Democratic and Republican, have spoken out about how hard it is to actually rig a national election. There is no central control, but each state has its own election organizers and governing boards. It is hoped that some of these facts filter through to the Trump followers. This may be, on many fronts, the most challenging election the nation has faced, since the time of Lincoln. But what gives me hope; what keeps me on a more or less even keel, is this phrase from a psalm I remember: “Why are you downcast, my soul? Why groan within me? Trust in God, I will praise him still; my Savior and my God.” Whether things go well, or go bad, I trust that God will be with me: with all of us. And with his help, as one nation, we will see things through. The cup is empty, I am ready for bed. See you all next week, over a cup of coffee. Over a cup of coffee, I would apologize for not coming to the counter for a while. One could say I have been struggling with one huge case of writer’s block. It is a combination of trying to carve out a period of time to write something online; and not be able to think of anything to write. Anyway, let me share with you that earlier this week I attended my first company cookout earlier this week. It was on a Tuesday, and the weather could not have been more cooperative. Tents were set up in the parking lot of our office building. The food was placed out buffet style. And there were round tables for us to sit at. Part of menu was BBQ pulled pork, sausages in a roll, hamburger sliders, very good macaroni and cheese, shrimp, and salads. It must be sign of my getting older; but there was a time I could hit a buffet table at least twice; that is no longer true. My wife would say that is a good thing. One of the goodies the company was giving away, were “selfie” sticks. Here is my first try with it. Over a cup of coffee, I would tell you that there was a big event in the Archdiocese of Boston, MA, recently; the coming of a relic, the heart of Saint Pio of Pietrelcina; also known as Padre Pio. Padre Pio was a Franciscan Capuchin friar, born in 1885, in Italy, and died on September 23, 1968. He was ordained a priest in 1910. 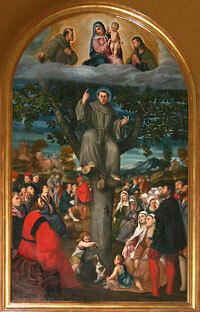 In 1918, he received the stigmata, after experiencing a powerful vision of the Crucified Christ. He bore the five wounds of Christ for the rest of his life. News of this miracle got out to the world, crowds of people gathered to witness it. Padre Pio would be examined many times by physicians, with conflicting diagnosis’. The Church would investigate him many times; would forbid him to say Mass or hear confessions for a period of time. He would eventually be cleared of unorthodox thinking or practices, and returned to his priestly ministry. He would spend a good deal of his time hearing confessions, offering spiritual council, and celebrating the Eucharist. He remained at the Capuchin friary at San Giovanni Rotondo for the rest of his life. He worked at, and successfully caused a hospital to be built near the town. 34 years after his death, he was declared a saint, by Pope St. John Paul II. We Catholics have a unique relationship with our saints; we believe that they are in heaven with God, that they are praying for us, interceding for us before the Father. Their lives continue to inspire us, encourage us to live more intensely the Gospel life. They are very real for us; so when we come before a relic of theirs, we venerate it; knowing we are giving honor to the person, not the object. And that is what has been happening with heart of Padre Pio; thousands of pilgrims have gathered in churches, in the North End of Boston, in Lowell, and in the Cathedral of the Holy Cross in Boston. All to venerate the relic, to ask for his intercession, or to thank him for a prayer answered. It was a powerful demonstration of faith. It is also a demonstration of the “juice” Cardinal Sean O’Malley, Archbishop of Boston still has in Rome. It also does not hurt that he himself is also a Franciscan Capuchin! Over a cup of coffee, I am going to start saying something that will sound like the beginning of a bad joke; “A Catholic priest, a Methodist minister, and a Yale humanist enter a room;” what you get is “The Great Bible Experiment!” Father Warren Savage, Catholic chaplain at Westfield State and Amherst College; the Rev. Anne Robertson, Executive Director of the Massachusetts Bible Society; and Tom Krattenmaker, of the Yale Humanist Community, have been gathering in New Haven CT, Albany, NY, Providence, RI, and on September 27, 2016, in Boston, to hold a town meeting style discussions on the Bible. These locations, according to recent surveys, are the least Bible minded cities in America. The final meeting in Boston, will actually be held at Harvard University; the event will be live streamed. Well, the cup is empty; and will try to here next week, with another cuppa. If we were having coffee, I would tell you how sadden I have been about the news of the police shootings and killing of two black men, and then the shootings of 11 police officers in Dallas, TX; resulting in deaths of five officers. There is an air of unease in the country right now; the black communities distrust and fear their police forces; the police feel threatened by the very people they have sworn to protect and serve. And there are politicians, who with their rhetoric are fanning the flames. Communities are becoming divided, hunkering down in their own enclaves, with no interest in dialogue. The Gospel call is to see all people as our neighbors, to respect and to love them. And to talk with each other, and find common ground to reduce the stresses that threaten to tear this republic apart; whose 240th anniversary we have just celebrated. If we were having coffee, I would tell you that my wife and I joined my siblings, and a cousin and his family at a cabin in Maine, which my aunt owns. It is on Lake Sokokis, in Limerick ME. It was too cool for swimming, but we did have a wonderful cookout. If we were having coffee, I would share with my experience of leading a Sacrament of Baptism catechesis class for new parents who wish to have their infants baptized, and become part of the Catholic Church. I had five couples in attendance; one couple brought their newborn with them. The child slept through the class. I try to help these parents realize that the baptism of their children is not just an encounter with the love of God for the children; but also a special opportunity for them to encounter God, through the Holy Spirit. I tell them that when the priest will ask what they are asking of the Church, and they reply: “Baptism”; they and their child’s lives will be forever changed. The baby will experience a rebirth through the baptismal waters; they will have committed themselves to bring the child in the faith. And not just though placing the child in religious education classes; but by the example of their struggle to live the faith. Well, my coffee mug is empty; it is almost midnight, and I have a long week to look forward to. See you all next time over a cup of coffee. If we were sharing a cup of coffee, I would tell you that my wife and I are on Cape Cod this weekend. We are visiting her parents, and celebrating Father’s Day. The weather is beautiful; cool sea breezes, blue skies and bright sunlight. It is a nice break, a nice change of scenery for a bit. And it is a little respite from the feelings that I still have concerning the tragedy in Orlando, FL My in-laws do not have their TV on much, so I have been out of touch with the world. It is a nice break, but only a temporary one. We still have to reflect on, pray over, and act on the events of that terrible night. Over a cup of coffee, I would tell you that since last we met, I, as a deacon, baptized two little girls into the Catholic Christian faith. One was a relative newborn, the other was a toddler. I preached a short homily, telling the assembled families and friends that we were about to witness something awesome! The power of the Holy Spirit was going to be at work before us. Through the waters of Baptism, they were brought into the Mystical Body of Christ. And their lives will be forever changed. And the lives of their parents are forever changed, for they have made a commitment to the Church to bring their children up in the Faith. I tell them that fulfilling that promise means something more than just seeing to it that their child goes to religious education classes. It means that they must show how the Faith is lived, by the example of their own lives; both the struggles and the joys. They are in my prayers. 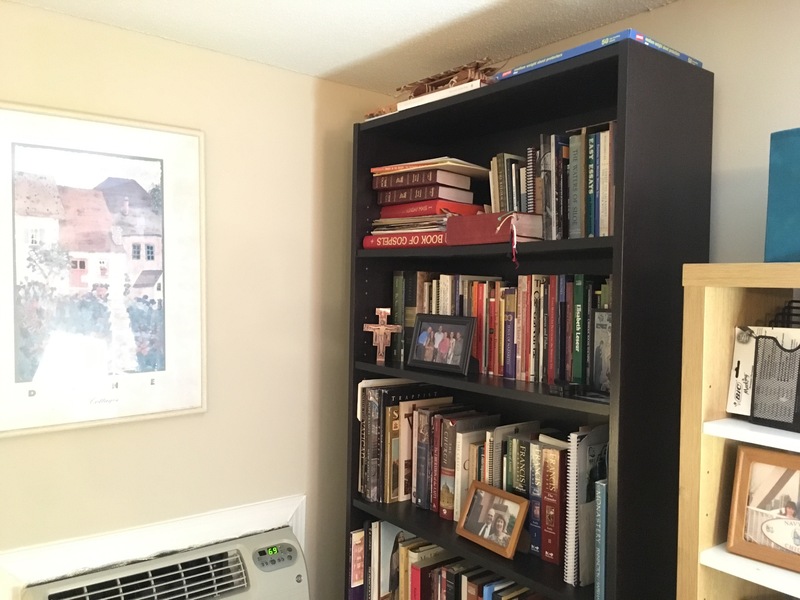 Over a cup of coffee, I would tell that many years ago, when I was a young seminarian, I spent a couple of summers in an ecumenical program, called A Christian Ministry in the National Parks. They recruited seminary and college students from all Christian denominations; to go out to various national parks, and lead Sunday worship services for park visitors and employees. We seminarians were called Student Ministers. Those of us who were Catholic, would either assist a visiting priest at Mass, or lead a Service of the Word. I had my first experiences of preaching before people back then. Some of usalso organized Bible study groups, or organized choral singing groups. We earned our keep by working for the park concessionaires; I found myself working in some kitchens in Yellowstone National Park. Recently I signed up to become a ACMNP Prayer Partner for someone who will be going to a park in Alaska. Daily, I remember this young man in my prayers; praying for his safety, and success in his ministry. Well, the coffee cup is empty, I wish you all wellness and blessings, and hope to see you again over a hot cuppa joe.